Rugged Cast Aluminum Plaque 4" x 6" with Raised Double Border and recess area for a 3 x5" Plate(included). 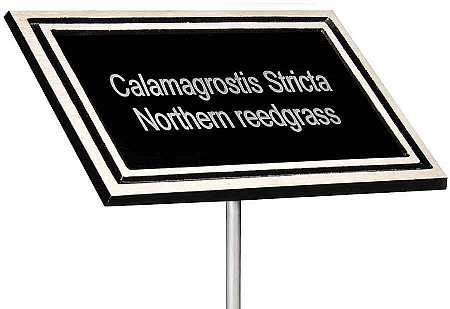 Stake Mount plaque has a cast rear mount for attaching 24" aluminum stakes.Great for Nature Trails, Botanical Gardens, Tree Dedications, Dedication Garden plaque and/or Donation Plaque. Stake included. Perfect Memorial Plaque for the outdoors. These plaques are great. Hold up well to the elements. 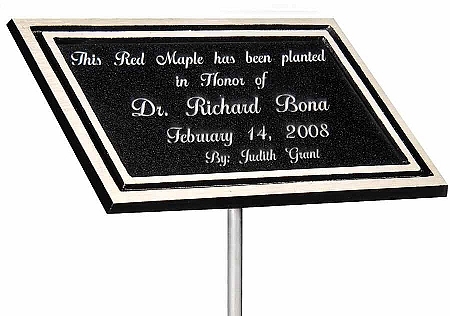 We have been ordering them for years as outdoor memorials to co-workers that have passed away. Quick turn around for a customized item.